March 1, 2015 (Sacramento)--California State Assemblywoman Lorena Gonzalez (D-San Diego) introduced Assembly Bill 1266 on Friday to require public utilities to justify executive bonus compensation at a public hearing of the California Public Utilities Commission following any federal safety violation that results in a cost of $5 million or more to ratepayers. 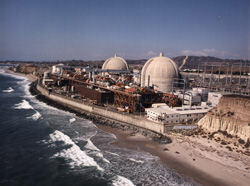 August 5, 2014 (San Diego's East County) - Southern California Edison has announced plans to dismantle the San Onofre Nuclear Generation Stations, which were decommissioned after radiation leaks, and restore the beach near the nuclear plants. Aguirre is demanding refunds from Southern California Edison and SDG&E for ratepayers in our region, which is home to the highest electric rates in the USA. ACTIVISTS CALL NRC RULING "DANGEROUS COVERUP"
August 18, 2012 (San Onofre)—Last month’s announcement by the Nuclear Regulatory Commission (NRC) stating that Southern California Edison (SCE) had complied will all regulations is yet another dangerous case of regulators looking the other way coupled with gutted unsafe regulations, according to local activist groups, including Residents Organized for a Safe Environment (ROSE), Citizens' Oversight, and the Peace Resource Center of San Diego. Read more about ACTIVISTS CALL NRC RULING "DANGEROUS COVERUP"
May 3, 2012 (San Onofre)—Residents from across Southern California and as far away as Japan turned out for a protest at San Onofre this week to call for a permanent shut down of nuclear reactors which have been offline since January 31 amid growing safety concerns following a steam leakage and discovery of cracked tubes. Yesterday, however Southern California Edison however announced its intent to bring the facilities back online by mid-June, if the Nuclear Regulary Commission grants approval. 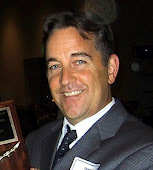 April 6, 2012 (San Onofre)--Washington, D.C. and San Clemente, Calif. – The ongoing crisis at the troubled San Onofre nuclear reactors entered a new phase today, as Nuclear Regulatory Commission Chair Gregory Jaczko announced he will visit the plant this Friday, April 6. Concerned organizations and community members reacted by demanding Jaczko announce a new policy of openness and require a full determination of what went wrong. The two nuclear reactors at San Onofre, operated by Southern California Edison, have been shut down for more than two months following a radiation leak and the discovery of severely damaged equipment. Tubes in all four, new steam generators at both San Onofre reactors showed significant deterioration, which could lead to a serious release of radioactivity in the event of rupture. January 20, 2012 (San Diego) – Today San Diego Gas & Electric (SDG&E) announced the launch of the “Green Button,” a new tool that will provide customers with easy access to their energy usage data. December 17, 2011 (San Diego) -- As part of the Department of Energy’s $12 million Rooftop Solar Challenge, the California Center for Sustainable Energy (CCSE) was awarded $700,000 to lead a team of 11 jurisdictions and five utilities across Southern California to streamline and standardize the installation of solar systems. The regional team will develop guidelines for expedient and uniform permitting and connection of rooftop solar aimed at reducing the cost of solar installations and making solar cost-competitive with other energy sources.